Happiness doesn’t bring us gratitude, it’s the other way around. The Year 3s have been learning about gratitude, which means being thankful for the positive things in our lives. Happiness doesn’t bring us gratitude, it’s the other way around. Gratitude brings us happiness. Gratitude is a choice – it’s about having a GREAT ATTITUDE. We are more likely to be healthy, calm, strive for success and reach our goals if we’re happy. In their You Can Do It lesson, the Year 3s were able to choose between three activities: make a gratitude dice, record ten things they are grateful for or write a thank you card. 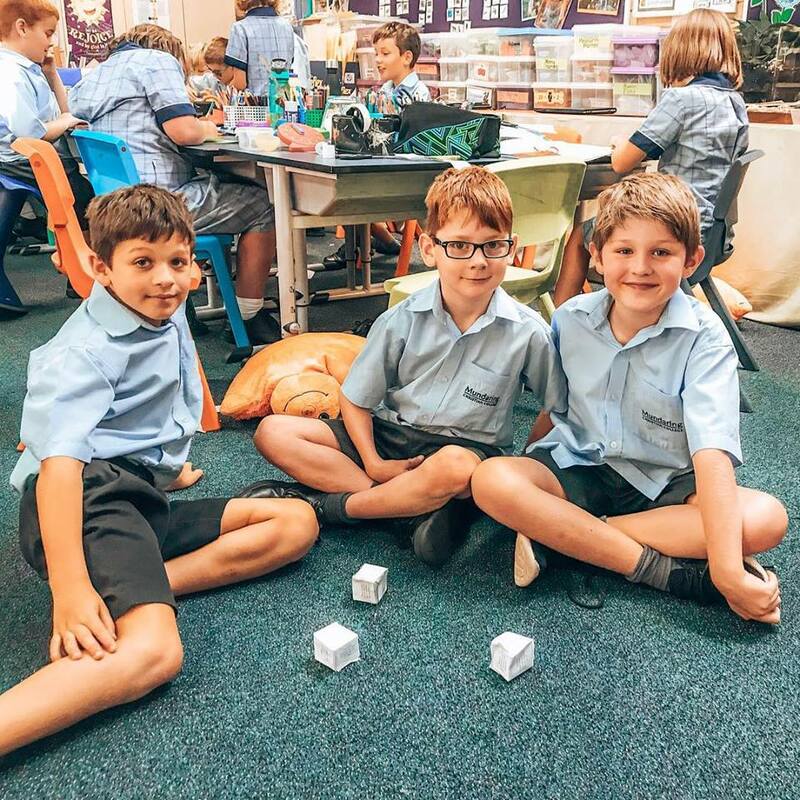 Thumbnail Picture: William, Bailey and Jamie are playing the gratitude game with the dice they made. Each face of the dice asked an important question to discuss, e.g. who is someone you are thankful for and why? Picture 2: Mrs Cornish stumbled across some blank puzzles and so got her class to colour a piece each.